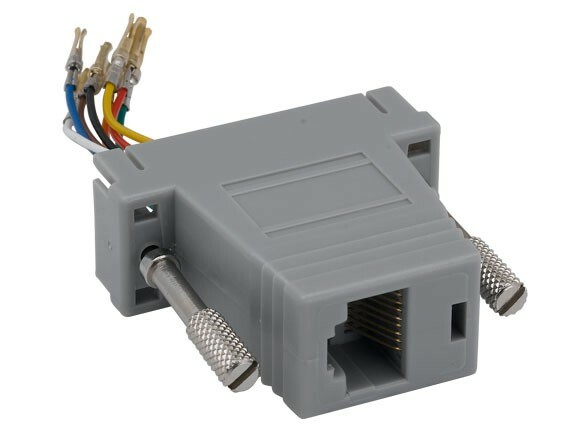 Using modular adapters with inexpensive silver satin or flat oval twisted pair wire has become a standard way to run a serial connection over a long distance. 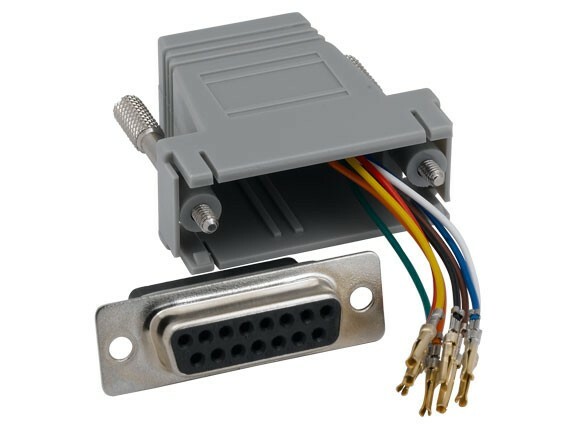 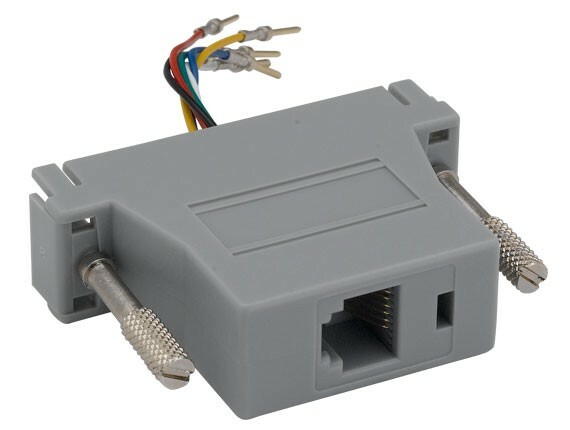 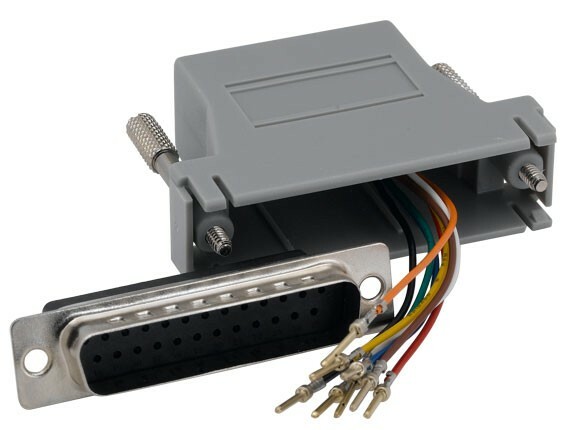 You can use this modular adapter to connect dump terminals, PC's and telecom equipment to serial devices. 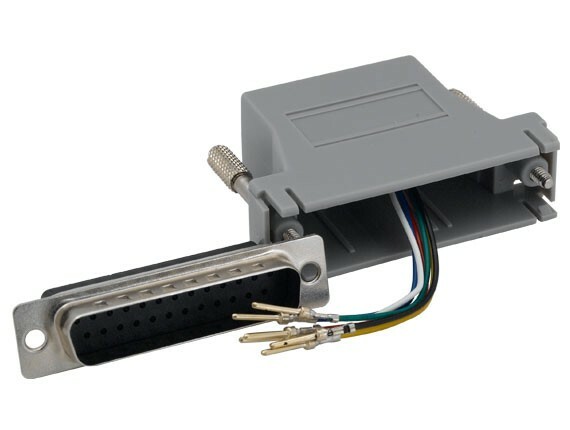 Slotted thumbscrews make installation fast and easy. 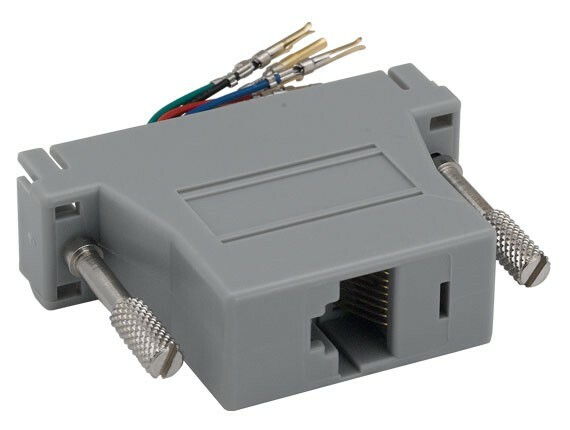 Note: Picture shows this adapter before assembly; this modular adapter will need to be assembled so that it is functional.